Just before the starting MUSKET! 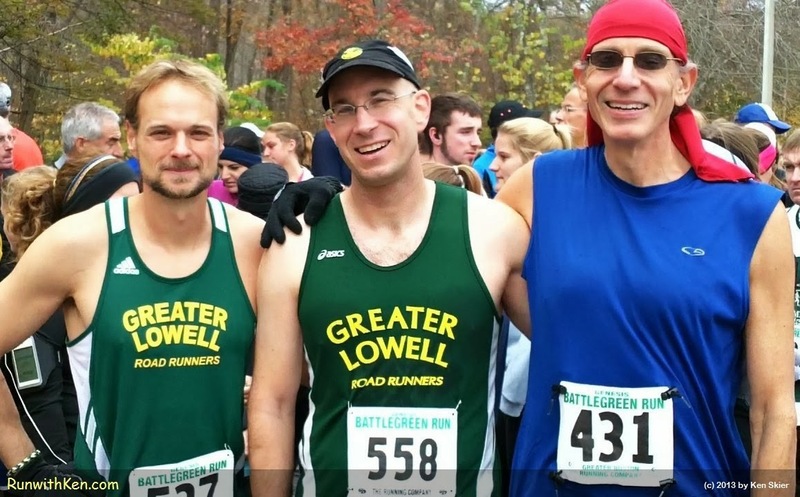 Award-winning team at the Genesis Battlegreen Run in Lexington, MA. in historic Lexington, MA starts with a MUSKET--fired by a Minuteman in full period garb! This photo was taken just minutes before that blast. will each win individual awards at the race. setting a course record and a PR (Personal Record). Together, these three will win a team award as well.